Playing Gay Is NOT Easy,’ Says The Queen’s Moshe Ndiki! Despite being gay in real life, Moshe admits that playing one on TV is not as easy as one might think. Moshe says his own personal story of coming out is very different from his character as his family was accepting whilst his character’s family wasn’t. “The only thing we have in common is our sexuality, so at first it was difficult because I struggled to find who he is. I would do things very differently to the way Prince would and getting into his character was difficult, but Connie really helped me with that,” he said. 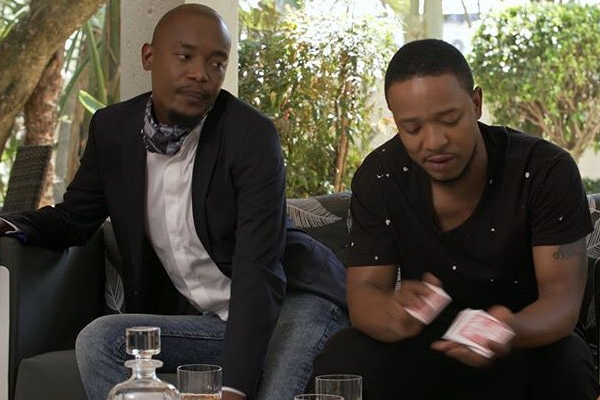 On bagging the role, the rising star who is also the new host of popular dating show, Uyang’thanda Nasays he was offered the role and he would not let it go. “I was called by Ferguson Films towards the end of last year. They said they had been writing a character for me and asked if I was interested in meeting with them. Before they said anything else, I agreed – I was not going to let this opportunity pass,” he said. Ndiki will play the role of Prince, a flamboyant young man who works as Harriet Khoza’s (Connie Ferguson) assistant.